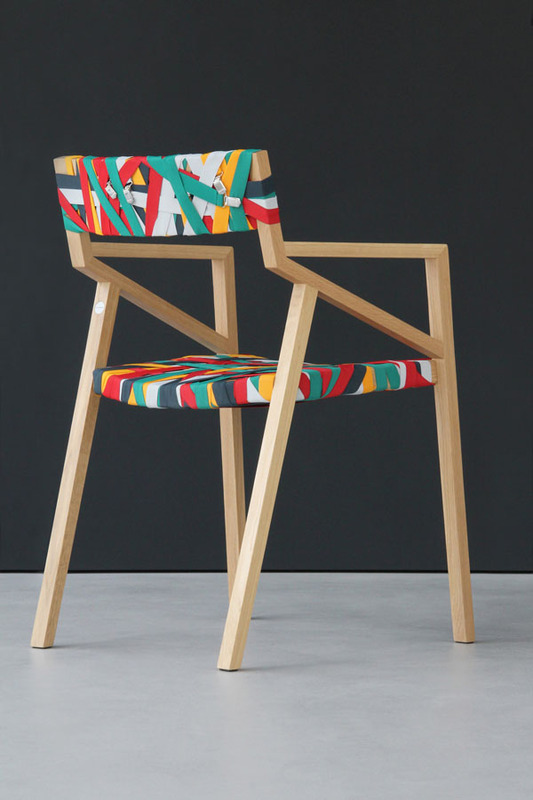 Coloured suspenders form the back and seat of this Bretelle chair designed by Luca Martorano in collaboration with craftsman Georg Muehlamm. The Bretelles (Italian for suspenders) are wrapped and layered to provide a light and comfortable seat and back, with the contemporary angles providing the perfect framework. Produced in Italy, the chair is available in beech, walnut, oak or apple wood and can be customised from a choice of over 164 suspender colours. A minimalist design with maximum visual impact.